City, the reigning Premier League champions, were given a gilt-edged chance to leave Anfield with a win for the first time since 2003 when Van Dijk brought down Leroy Sane inside the box. 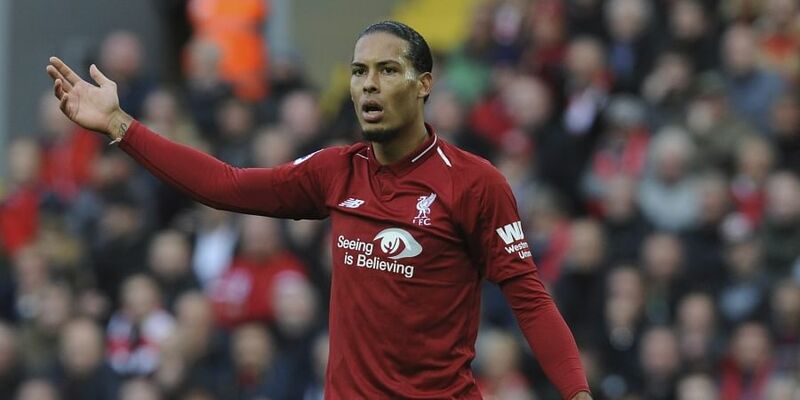 LIVERPOOL: Liverpool defender Virgil van Dijk was a relieved man after giving away a late penalty that Riyad Mahrez missed in a goalless draw with title rivals Manchester City on Sunday. "It is not smart to dive in there," Van Dijk told Sky Sports. "It was a penalty and it shouldn't have happened, but I'm very happy we didn't concede." "I watched it because I wanted to get the rebound if he missed it," Van Dijk explained. "They did well, as did we, up until the penalty moment. "We were unlucky not to score, and lucky not to concede as well, so I think we cancelled each other out. It was a tough game against the champions and I'm happy we kept the clean sheet," he added. Mahrez has now missed five of his last eight Premier League penalties, four for Leicester, from where he signed for £60 million ($78.7 million), and one for City. But City defender John Stones defended the decision to let him take the high-pressure spot-kick by saying: "It is one of those things in football. "Riyad Mahrez was taking them really well in training all week, but it happens and we have to move on."